I get more questions about this topic than any other. “What can I snack on that is low in carbohydrates but high in protein?” The truth is, you can only eat so much cottage cheese, greek yogurt, and nuts. (Which are also great snacks) Variety is one of the biggest challenges for people adjusting to a healthy nutrition regimen. “What food can I eat in between meals and at night?” Since chips, crackers, candy, and anything processed should be out of the question, options can be limited. However, here is one great option to give you some variety. Why not just buy beef jerky? Pre-packaged beef jerky possesses a few problems. 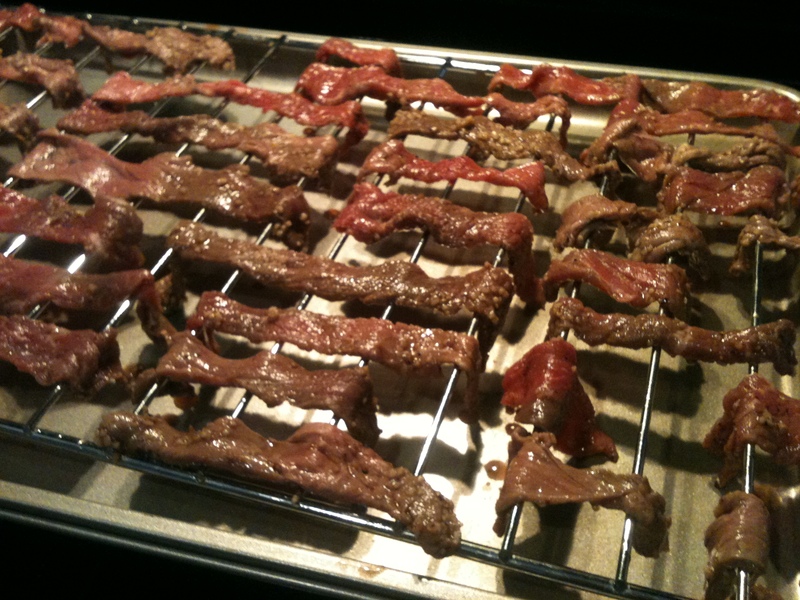 Sodium(salt), saturated fat, and preservatives are the 3 downsides of pre-packaged jerky. The American Heart Association suggests keeping daily sodium levels under 1500 mg’s. 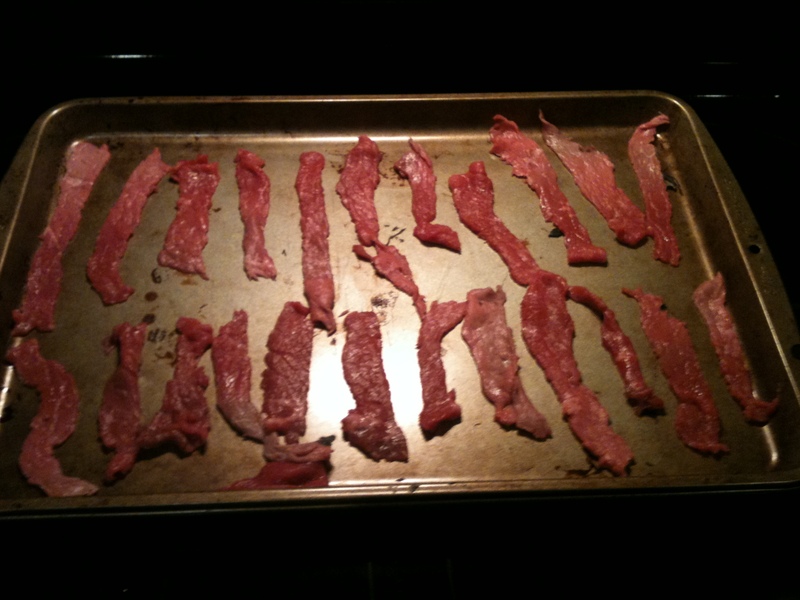 One serving of pre-packaged beef jerky can contain up to 750 mgs of sodium or half your recommended daily amount. Preservatives are added to jerky to extend shelf life. Like any processed meats, sodium nitrite and MSG are concerns that can be detrimental to your health, especially in jerky products. Saturated fat for any red meat can be high, but with the home-made version you can buy a leaner meat or cut out excess fat. 2. 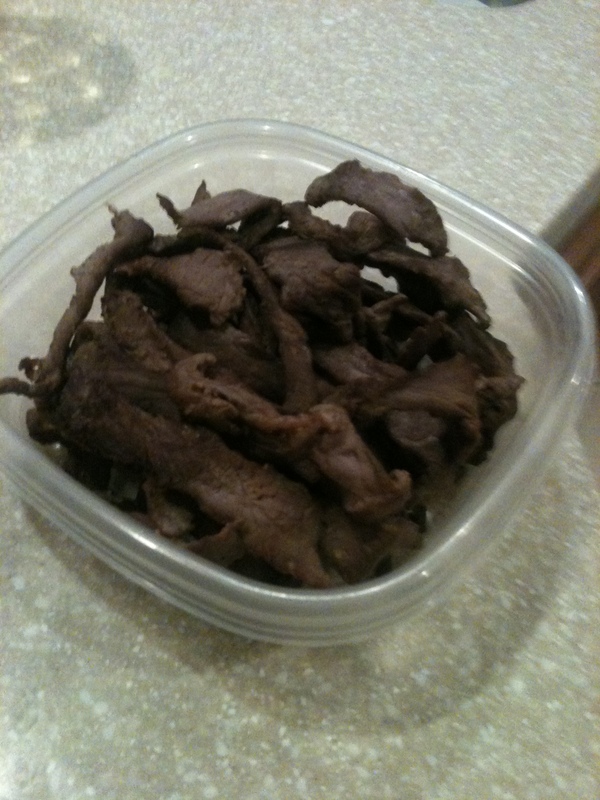 Refrigerate the marinated steak overnight (or during the day) in a seal-able bowl or bag. 4. 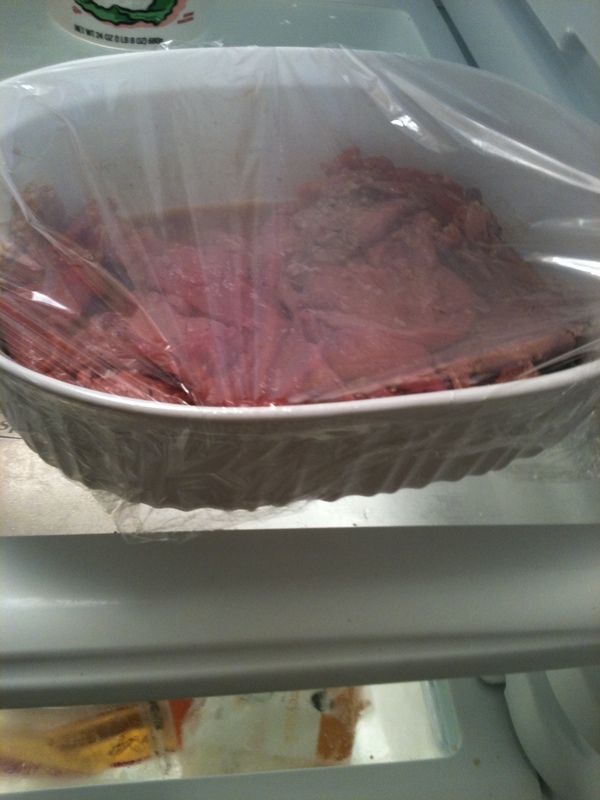 Remove from the oven and refrigerate in a seal-able bag or bowl for a healthy protein-filled snack! 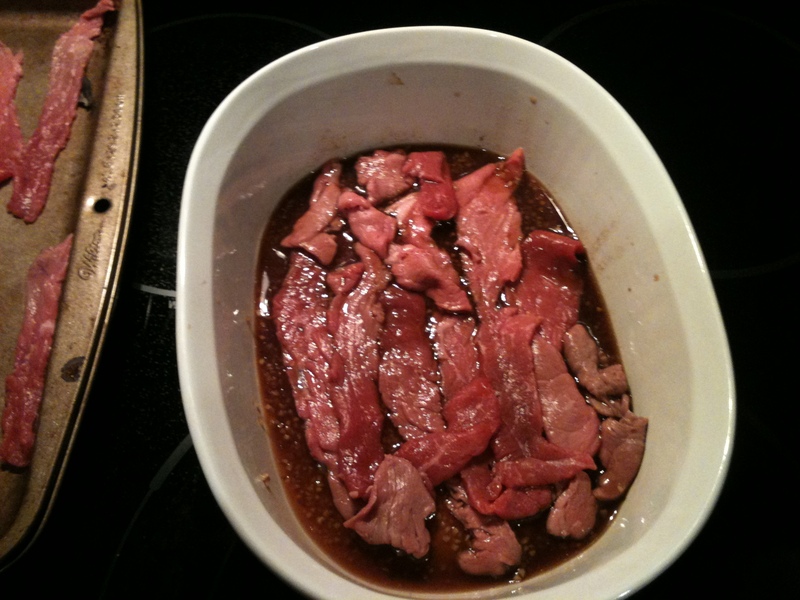 The versatility of ingredients in the marinade make this an attractive snack for people looking for some variety. My advice would be to make a bulk serving on sunday night to last you throughout the week. As I have discussed in my previous blog posts, aim for healthy snacks in between meals to make up 5 or 6 smaller meals per day instead of 3 large meals. Snacking is not the enemy. Unhealthy snacking is the enemy. A snack that is high in protein and has large amounts of fiber is ideal. Mix some home-made jerky with a handful of walnuts for a healthy dose of protein, fiber, healthy fats, and useful calories. Thanks for reading and let me know if you have any comments or questions.